Introducing Alien News Pro: The most innovative News Reddit application for a personal computer ever conceived! 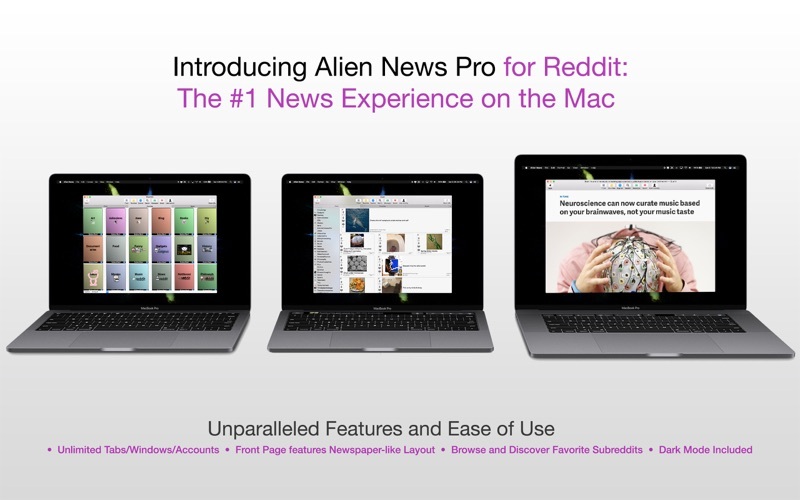 Alien News Pro is the first News application to support Unlimited Tabs, Windows, and Reddit Accounts; as well as offering a super easy to use interface chock-load full of advanced features. 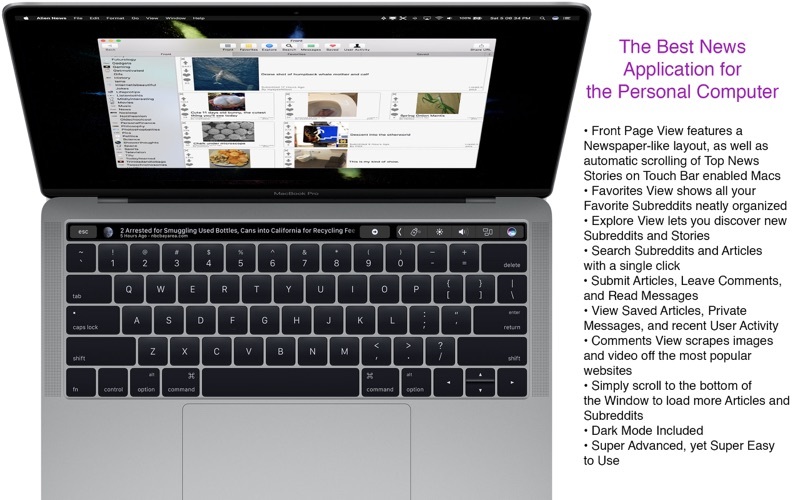 Front Page View features a Newspaper-like layout for maximum space allocation and user enjoyment, and if you have a Touch bar enabled Mac, Alien News Pro also includes one of the most innovative uses of the Mac’s new Touch Bar yet: Top News Stories will automatically scroll across your Touch Bar mimicking scrolling news stories if you were watching an actual TV news program! 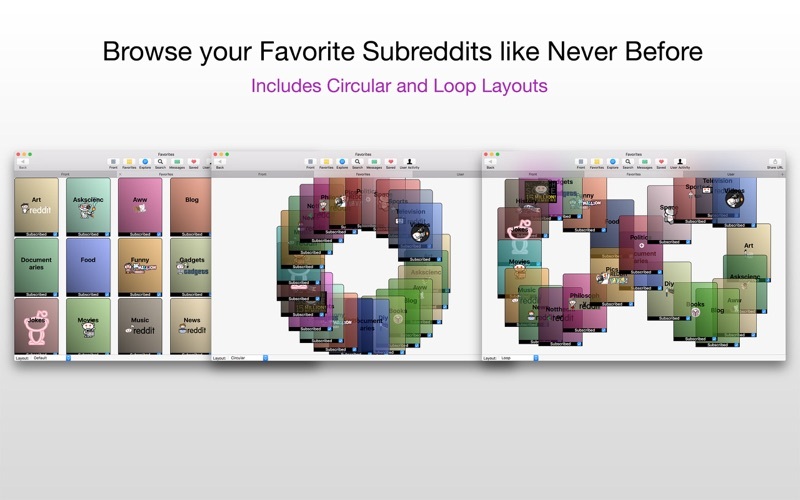 Easily browse your Favorite Subreddits super easily, and discover new Subreddits and Articles under Explore View. You can also Search with a single click, leave Comments, view your Private Messages, view Saved Articles, even view your recent User Activity, and more! 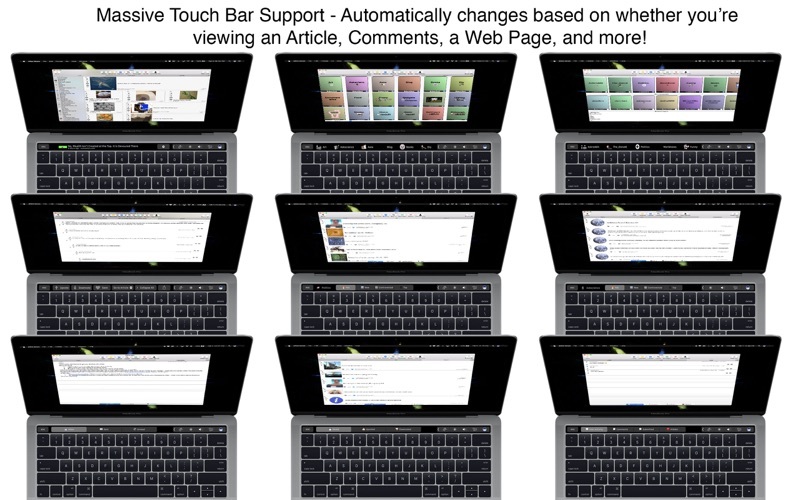 Alien News Pro was also built from the ground up for massive Tab Support; virtually every button you see in the app can be Command-Clicked to open it in a new Tab. You can also right-click to open Articles, Comments, Web Pages, and Subreddits in new Windows as well! 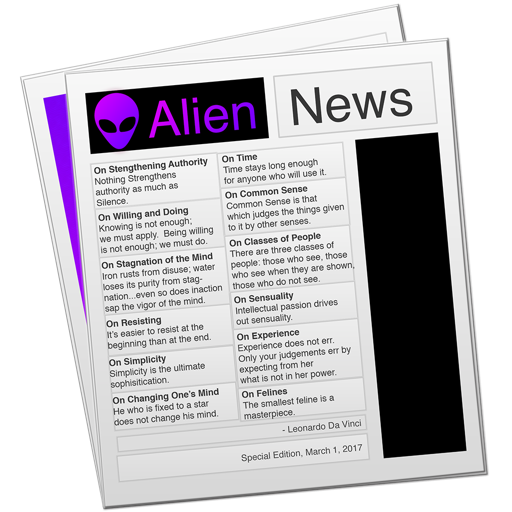 With all these features, Alien News Pro gives a News reading experience like you’ve never experienced! - Incredibly advanced yet super easy to use!